Are you wondering about the web-designing and UI/UX aspects that create an “astonishing” experience among your potential website visitors? Updating your knowledge according to the latest trends generate a harmony between the designer’s talent and the drifts. Are you wondering what exactly needs to be done? You have landed on the perfect page. Fitser brought for you a list of 7 Web designing trends that will help you remain out of the box. The designers are allowed playing with geometrical shapes like – lines, circles and patterns that attract the attention of the targeted audience. Creative layouts and designs must be the core focus of the designers. 2018 includes flat designs, 2D which never fails to offer an extra edge to the web pages thus enticing the visitors. Illustration and showcasing the products or services in a website especially e-commerce site with pictures is the best to seek the attention of visitors. The collaboration with the digital designer to create a unique view increases the interest of the website visitor. An authentic, bold and bright picture is included in the recent trends that the designers opt for thus improving the user experience. According to a study in 2017, it is recorded that 57% of web traffic was generated from that of the mobile devices. It is essential that you pay attention towards the website being mobile-friendly since Google prioritized mobile first indexing. While talking about mobile first indexing, we mean AMP (Accelerated Mobile Pages). AMP is capable of processing the request faster and thus trending website designs require to cater to the need of the hour. On the Contrary, a subtle problem arises when not taking timely action about the AMP is the appearance of the website in broken design format due to the increased Page loading time; this is not at all desirable. 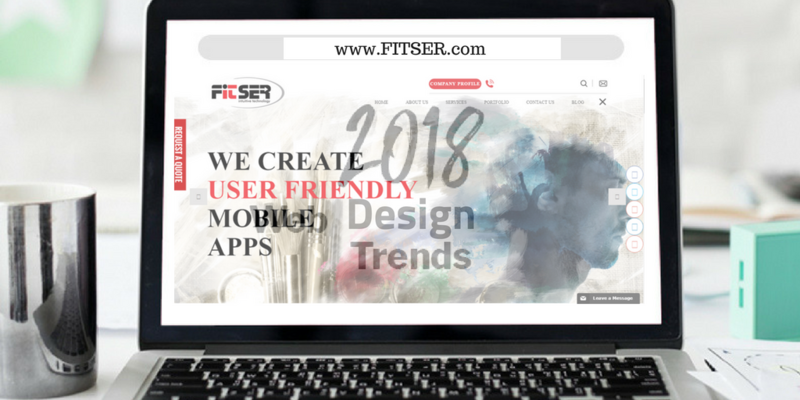 These escalate the user experience through the use of latest trends in web designing and development in 2018. These elements illuminate the website content thus attracting the attention of potential clients visiting the website. Cute and attractive visuals overpower the other contents thus making it an important element that visitors look up to -be it site icons, logos, applications, animated designs and more. HD quality videos, as well as GIFs, provide an extra shine to the website as it grabs the attention of users. A web page experience is made better with added animations in the following ways: Custom animations, Specific element animations, Parallax scrolling and Mouse over effect. Trending Web design in Australia makes use of the asymmetrical arrangement thus offering the website distinct and unique look. The sophisticated and appealing designs used by the expert designers will continue to grow in the coming years. The layouts provide different text, image and video formats in one space along with the liberty in the space and alignment of a page. To outshine the crowd, you might take the help of our experts who provide custom layouts without compromising on the page information and effective searching. Typography forms the backbone of branding. Playing with font styles are allowed with the change in the web development services rules. The shift in the regulations allows mixing and matching of different font sizes and styles to make the website look alluring. Let’s take a look at what typography offers to the customers opening doors to something new for the users in 2018: Images are supported, use of variant font style is allowed and desirable and trying hands on the variant spacing and sizes. Icons have always been a perfect element to make a website intriguing for the visitors. The line art form of icons is a recent website trend that improves the visual performance. Line art is a form of retro style thus grabbing the leads that can be easily turned into sales later. These elements are advantageous since they impoverish the website look aesthetically and increases the visual clarity keeping the information intact. Use of these Icons is perfect when the main motto is to entwine the visitors to click and visit another essential page. While talking about the drifts that website development company in Australia made in the recent trends, there are few aspects that need particular attention. The structure of a web page is perfectly combined with the flat designs and bright color play. The use of striking logos and splash of multi colors make the work even more engaging. 2018 website trends look forward towards the experimental designing that helps you stand out of the crowd. With the experts in Fitser continuously working to meet the client demand thus bringing in more traffic keeps pace with the change in trends and latest inclusions.